Dr. Baskin received his M.D. from the University of Washington School of Medicine in 1961. He performed a Straight Surgical Internship at the University of California, San Francisco through 1962. 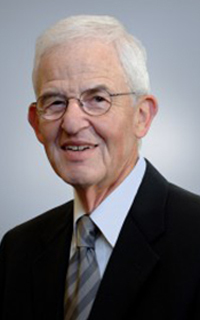 Dr. Baskin then completed two residencies: one as a Surgical Resident at the University of Washington from 1962-3 and a second in Orthopedic Surgery at the University of Oregon from 1963-7. He spent the next two years as the Orthopedic Section Chief at Madigan General Hospital in Ft. Lewis, Tacoma, Washington during the Vietnam conflict. He then returned to private practice in Portland. Dr. Baskin is board-certified and a member of the American College of Sports Medicine and the American College of Surgeons. He is also an honorary trustee of the Portland Zoological Society.